These photos are of a foundation pour for a Skystream Wind Turbine that will be erected in 28 days after the concrete cures. 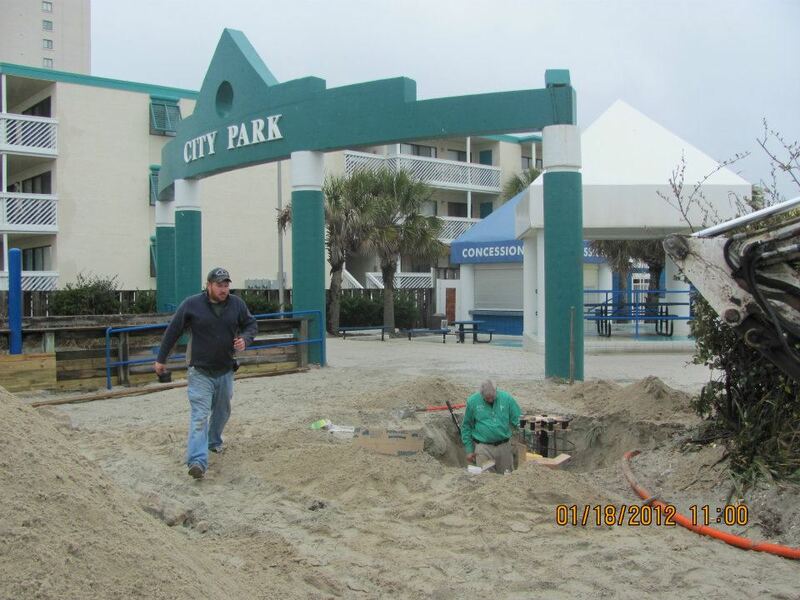 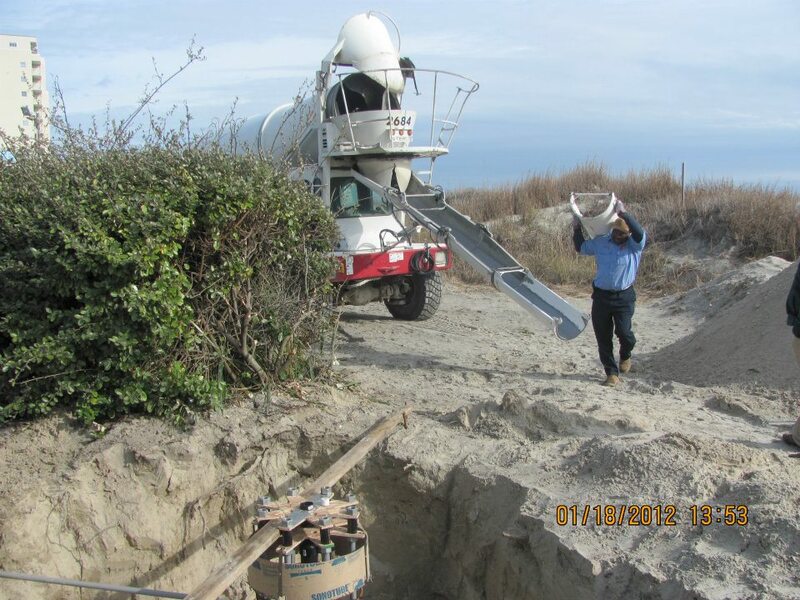 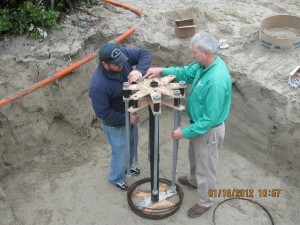 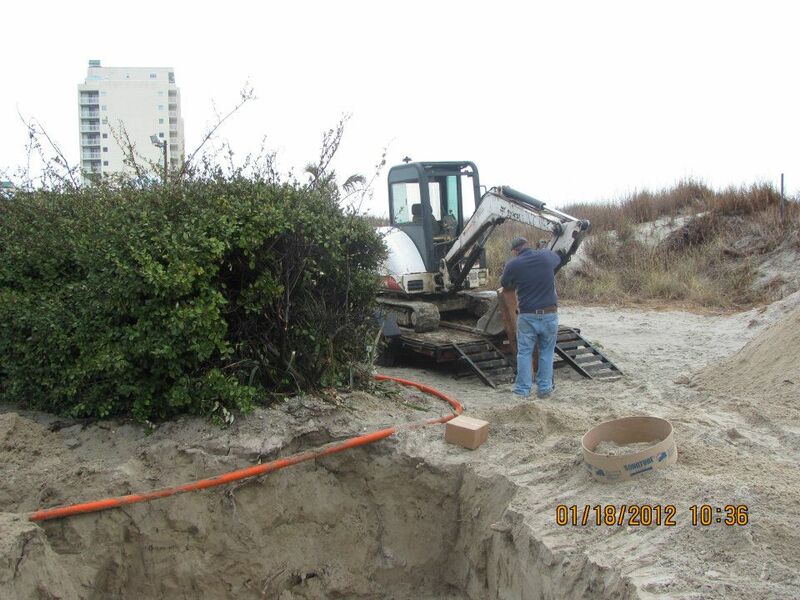 This is the third turbine install on the North Myrtle Beach Oceanfront and the culmination of a SC Energy Grant project sequestered by the North Myrtle Beach Chamber of Commerce. 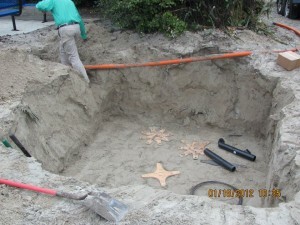 Upon final upfit of the turbine, the turbines will transfer over to the City of North Myrtle Beach who will enjoy the flood of free electricity. 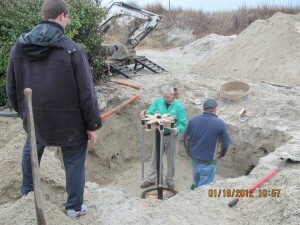 Wind Turbines of South Carolina excavate to pour a 10 cubic yard foundation for the turbine. 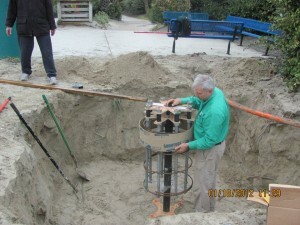 The orange pipe is an electrical conduit that will house the electrical wire that delivers power to the Park electrical Panel. 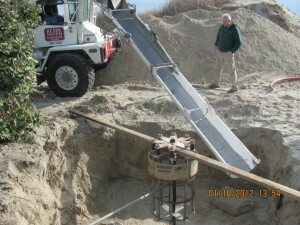 Leveling bolts are set before the pour. The collar is in place. 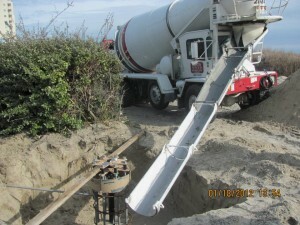 Concrete truck arrives from Redi-Mix.